Toymaker Elves' Christmas Parade is a lot of fun to see! Tonight, the toymaker elves put on their big parade. Do you know what the toymaker elves make? Would you like to hear more about the parade? Well, first, the elves that make all the computer games put strings of flashing lights along the parade route. It really looks Christmassy! The parade starts with a whole bunch of Toymaker Elves wearing cowboy Santa hats. They are all wearing little cowboy outfits. And, they are all riding… rocking horses! Another funny part is the elves dressed in puzzle pieces. They run around like crazy. Then they try to put the puzzle back together again! One of the elves always hides so there is always a puzzle piece missing too! Ho! Ho! Ho! There are always lots of floats with all the coolest new toys on them. Everyone goes “ooh” and “ah” at them. Do you know what was on the floats this year? Of course, a parade has to have little cars. There are always elves driving around in little toy cars. Sometimes the reindeer ride in them too! There are always teddy bears prancing and Christmas dolls dancing too! Everyone loves the march of the Toy soldiers. The Toymaker Elves Parade always ends with a special, big toy train. The train is filled with all the toys the elves have made! But the train doesn’t go “chugga, chugga, choo! choo!” The elves made it say something different. It goes “chugga, chugga, oink! oink!” Those elves are so silly! I think there were building blocks and books. Can you please make me the books Judy Moody Girl Detective and Judy Moody Around the world in 8 and a half days? Thanks. I LOVE YOU! I think that the parade sounds funny.i have no idea what else the elves could have done. i know that its march already but i keep the christmas spirit in my heart all year round. How many little toymaker elves are there. i cant wate to christmas i am so exited 18 sleeps till christmas. santa i have a ? why do you go to homes on december 25 and please don t say its because its christmas. Santa the elves are working hard why don’t you give them a treat sometimes? Are you in that parade? I love toys! I love elves! I love toymaker elves! HI SANTA CANT WAIT TILL CHRISTMAS!!!! i <3 your tomaker parade i bet the elvs have been working very hard. I WOULD LOVE TO BE IN THE PARADE IT WOULD BE LOADS OF FUN THANK YOU TOY MAKING ELVES YOU MADE ALL THE TOYS OVER THE YAEARS THANKS SO MUCH!!!!!!!!! You toymaker elves are awesome! If i were in the parade I would be a horse that took people around in the slieh I think thats how you spell it……anywaise i bet you guys know I absolutly love horses! Merry christmas even thouhg I rought this letter in october! hehe! I think you are a greedy old man and I am sure everyone else thinks that! you should put it on T.V!!!!!!!!!!!!!!!!!!!! wow that would loads of fun! 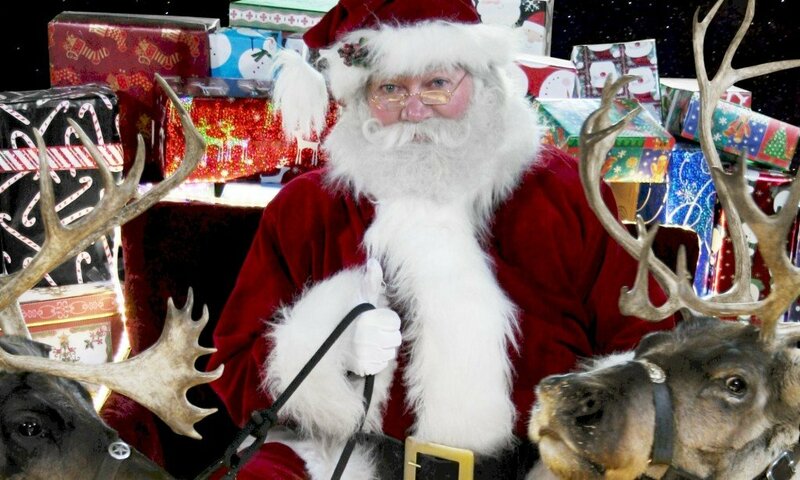 hi santa how have you been at the northpole.i would like to be in the parade it sounds like a bunch of fun.and i am 13 years old. I love christmas it is my favourite time of year because i get to spend lots of time with my family and I get lots of surprises.I absolutely LOVE christmas!!! Hope you are all busy making nice toys for all the boys and girls. Hope you all have a merry christmas and enjoy the break. yesterday i saw a little boy stealing stuff at a shop. The police were chasing after him and it was sad. I hope other boys are nicer and get a visit from you. I am so excited to see you. I hope the elves have so much fum in their toy cars. I reallly wanna talk about Christmas with Santa Dear snata i dont have chimeny in my house how yuo gonna be come in my house? the parade that the toymaker elves put on sounds pretty cool! I’m so glad you are helping Santa. Without you guys he would have to make the toys all by himself. At least you’re with him because Christmas would be ruined without you guys. I think it would be fun to throw a parade every year. It reminds me of the Macy’s Thanksgiving day parade. But I think the parade the Toymaker elves make theirs better. wow. that would be awsome can you give me a phone call. i like the puzzel part. If an elf gets in trouble, does he have to make coal? When the elf hides with the puzzle piece, does he get in trouble? YOUR RIGHT IT WORLD BE ALLOT OF FUN.I CANT BELIEVE ITS ONLY 3 MORE SLEEPS TILL CHRISTMAS EPP I CANT WAIT TO SE WHAT YOU GOT ME!!! There could be a big doll’s house float with elves sitting inside! I hope that the Toymaker Elves make lots of teddy bears and give them to loving homes or children that need friends. After all, friends are very special things to have! i would really like to take part in the parade and finding the puzzle piece but it would sure take a long time. hi my name is peter i live lowville i am 14 years old i wont to wont to live up there i wont a puppy to. WOW! IT SEEMS TO BE A LOT OF FUN! IT WOULD BE VERY CHALLENGING TO FIND 1 PUZZLE PIECE, BECAUSE, REMEMBER, ELVES ARE VERY SNEAKY. THAT CHALLENGE SOUNDS VERY FUN. I WOULD LOVE TO BE INVOLVED IN IT. HOPE EVERYONE HAD FUN! a parade, sounds like a lot a fun. the toy elves seem very creative. Merry Christmas Santa, and everyone at the north pole! pssshhh yea! that would be so much fun! i would love to be in the parade it seems like so much fun!!!! Cool! If you can I’d love to see some pictures! There Should Be Like Video Game Marker Elfs In The Prade! 5 Days Until Christmas! hope the elves do well? How can we meet the North Pole? Hi guys! How are you guys doing? Are you guys ok? HOW DO YOU GUYS MAKE PRESENTS? I like parades , they are really fun! The music,danceing,the people.Can I come? cool can i be a elf? I hope the elves had a fun time doing the parade! Previous PostPrevious Why Does Santa Claus Come Down The Chimney?